Find Berthoud, CO Homes for sale. View Photos, Maps and MLS Data Now! The attached, two-car garage features newly epoxy-sealed flooring and a gas heater installed in 2018. Walking distance to Pioneer Park. MLS#9418761. Redfin Corporation. Option for use of community pool. MLS#9536013. Neuhaus Real Estate, Inc..
No HOA. Listed below appraised value! MLS#5174558. Realty One Group Fourpoints. Berthoud Estates - Optional membership to pool & Workout Center MLS#6250547. Coldwell Banker- LoveLand. This home is a must see! 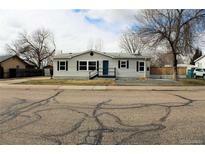 MLS#4764990. RE/MAX ALLIANCE. Gateway Park - Extra roomy 3 Car tandem garage w/ 9’ door. Don’t miss this fantastic home! MLS#2300606. The Group Inc - Loveland. So many upgrades to list but here are a few; eucalyptus cabs, quartz countertops, Dacor gas stove, range hood, gas fireplace, solid hardwood doors/trim/floors, main level office and laundry, furnace rated gas fireplace, wrap-around porch, balcony, generous bonus room, oversized garage and thoughtful landscaping attract all the local birds. MLS#6154626. RE/MAX of Boulder. You Will Want To Call This Home. MLS#8073451. RE/MAX NORTHWEST INC. Call for a detailed list of home features, floor plan or to show MLS#3342481. C3 Real Estate Solutions LLC. 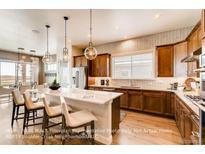 Berthoud Estates - Master bedroom has vaulted ceilings, luxury bath with granite counters and walk in closet.Full finished basement with large rec room, 2 bedrooms and storage area! Move right in MLS#1540464. RE/MAX Infinity. Berthoud Estates - Home is not in North Metro Tax District. MLS#9720708. RE/MAX ALLIANCE. Garden level unfinished basement.Large landscaped 10,919 sqft lot! MLS#3639396. 8z Real Estate. and a custom en suite bath.Stunning balcony (VIEWS) and walk out basement with room to grow. MLS#5971629. RE/MAX ALLIANCE. 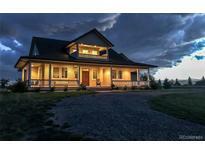 Berthoud Estates - In the event an offer is accepted, the auction will be cancelled. MLS#3295369. HAYDEN OUTDOORS LLC. Berthoud Estates - Enjoy views in your Backyard with garden beds, fruit trees and manicured landscaping! MLS#8764734. RE/MAX Infinity. Appraisal has been completed on property. MLS#4044286. FRONT RANGE REALTY LLC. This is a unique property with many possibilities. MLS#7500570. Equity Colorado. New roof and siding coming soon! MLS#7036748. eXp Realty, LLC.